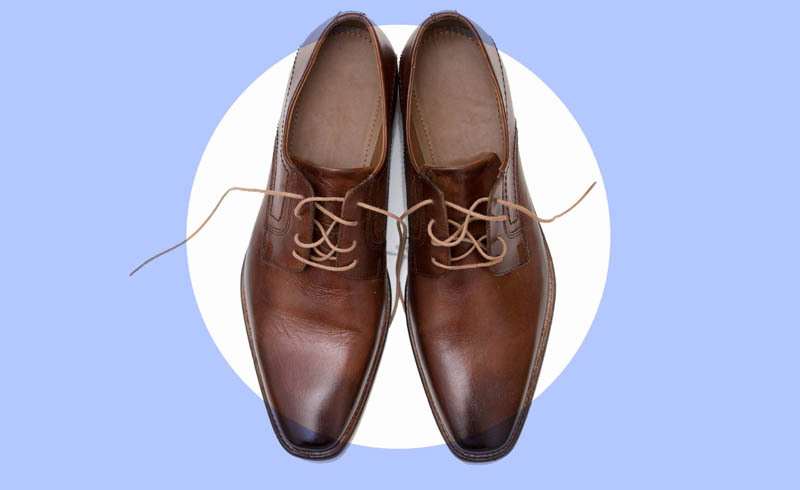 Expert tips on taking care of your shoes for the best closet ever. Spring Cleaning is not just for your home, but your wardrobe as well. But don't just drop off your clothes at the dry cleaners; give your shoes some love too. After months of slogging through rain, sleet and snow or just collecting dust on your closet floor, give your hard-working footwear a well-deserved refresh. Remember when you were a kid, afraid that any scuffs on your new white kicks would ruin them? Keeping your grown-up pair in tip-top shape is fairly easy, just grab a soft brush or paper towel and some gentle detergent or leather cleaner and gently spot treat any areas that show wear and tear. Experts also suggest treating your sneaks with a leather spray before you wear them for the first time to help prevent stains and marks. Suede is a finicky material (just a touch and it reveals a different grain), so a scratch or stain can seemingly ruin an expensive pair of shoes, but it's actually fairly easy to clean. You'll need a soft suede brush, which you can usually purchase with a suede cleaning kit. First, remove the dirt or dust by gently brushing in one direction (like filing your nails, ladies), then brush back and forth over any spots or scuffs. Experts say a common pencil eraser can be called upon to remove the most stubborn of marks, and if you're treating a water stain, simply wet the area around the spot, blot up the excess water and allow the shoe to dry overnight. Usually that will unset the stain, and you can brush it out just like you would a scuff mark. 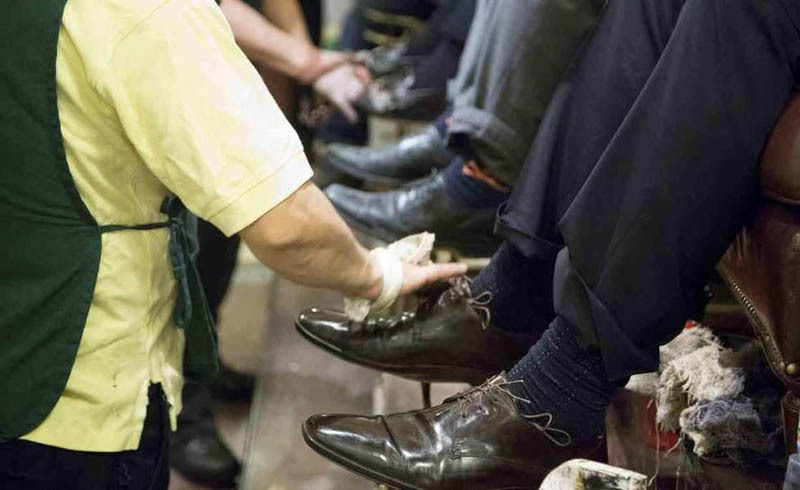 Whether it's your chic work loafers or his fancy dress shoes, don't cry when you see a scratch or scuff on patent leather. One of the easiest shoes to clean, just apply some mineral oil or petroleum jelly to the spot with a soft cloth and gently rub the spot until it disappears. Finally, buff off any excess oil with another clean cloth. You might be tempted to throw these ones in the washing machine but don't. A bit more effort is worth the results and will prolong the life of your sneaks. Remove the laces first (these you can machine wash), and wet the whole shoe in warm water. Then gently scrub with a toothbrush and warm water mixed with dish soap anywhere you see a stain. Rinse, let them air dry and you're good to go. Satin is super delicate, so take your time with this project. Start with a clean, dry cloth and gently wipe away any dust or large pieces of debris. Then wet a corner of a clean cloth and gently blot any stains with cold water. After, brush very gently, following the grain of the fabric. For more serious stains, mix a little hand soap into the water before applying it to the shoe. Dry as best you can with a clean towel; you can also try a blow dryer as long as it's on the lowest setting. The simplest way to clean leather (and make it look new again) is with leather polish. First remove the laces, so they don't get any polish on them. Then wipe off any dust and dirt with a soft, dry cloth. Now you are ready for the polish; always make sure you test a small area to make sure the colors match. Then apply the polish in a circular motion across the shoe. Finally, remove extra polish in a circular motion with a clean, dry cloth.